I have been wanting to blog about my accordion card for a while now - I made a video of this card live and then neglected to blog about it! I wanted to show the finished product as I didn't get to finish the front properly live. Each panel I have used the stunning Country Lane Designer Series Paper that is coming out with the new Holiday Catalogue. 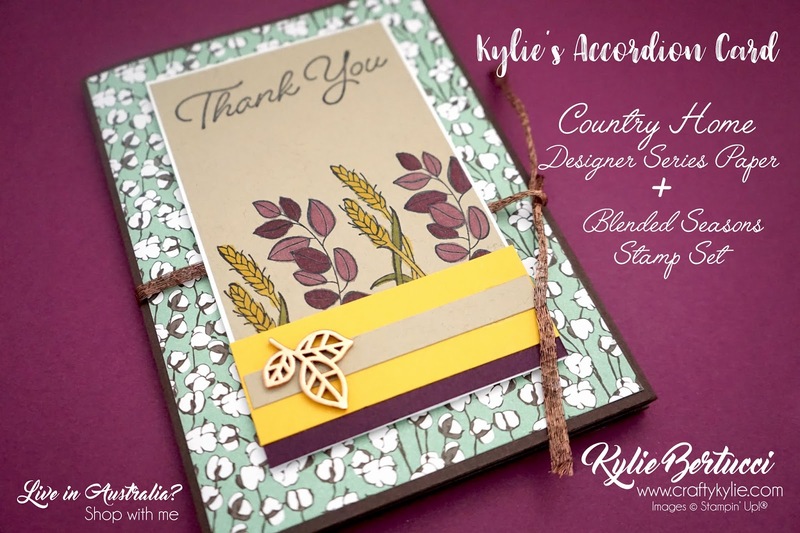 Have you requested a new catalogue yet?? CLICK HERE to do that. Thank you so much for coming by today! 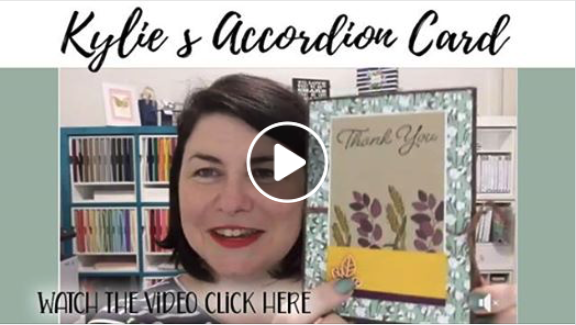 If you like my Accordion Card I would love to hear from you. Also you can pin it so you can use this idea later. 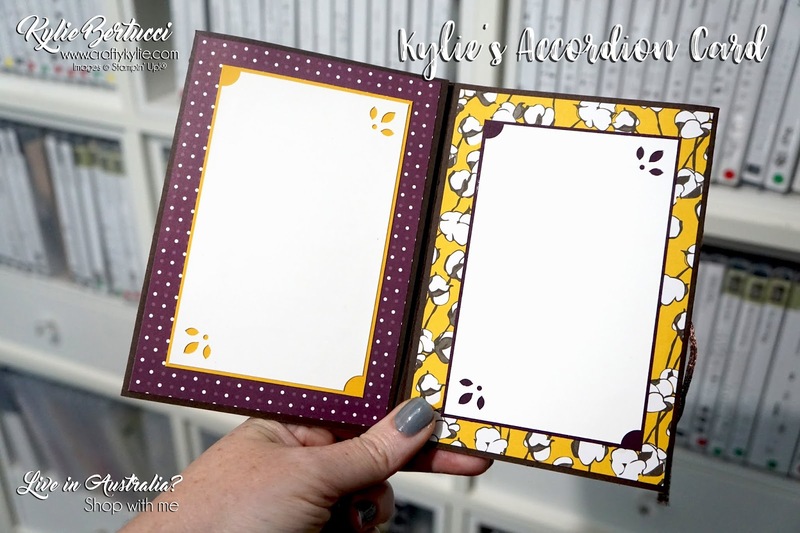 Awesome for Wedding cards, goodbye cards, family events where lots of people need to sign. So handy! Oh my goodness Kylie... you are such a doll! So fun to watch... I just LOVE your personality and that gorgeous smile! I am new to your blog, but I am also a Demonstrator. 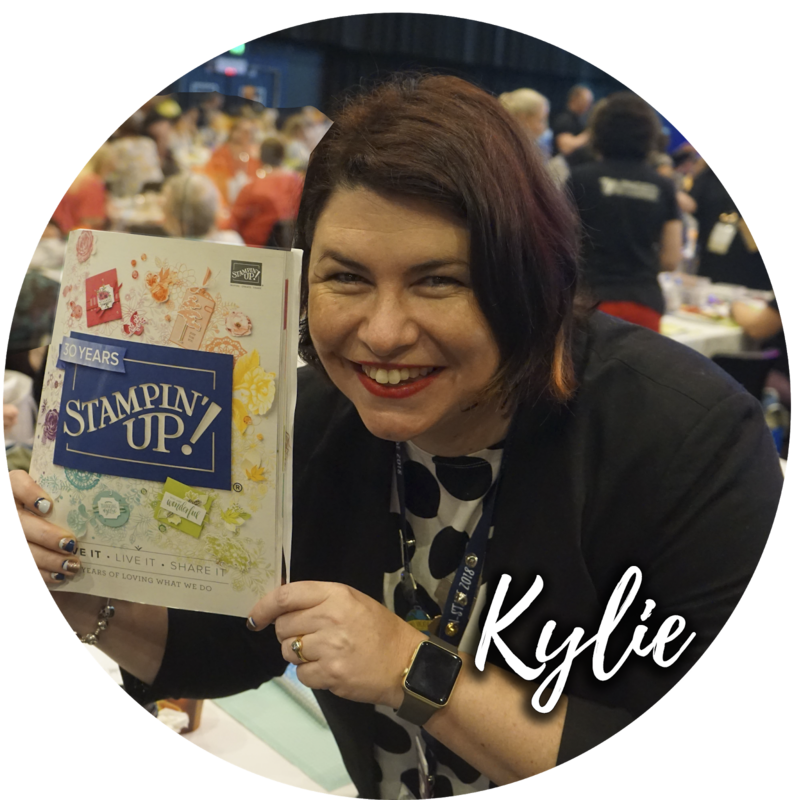 Have been with Stampin' Up for 4 years off and on, steady now for 2. Trying to make it a business finally from being a hobbyist. 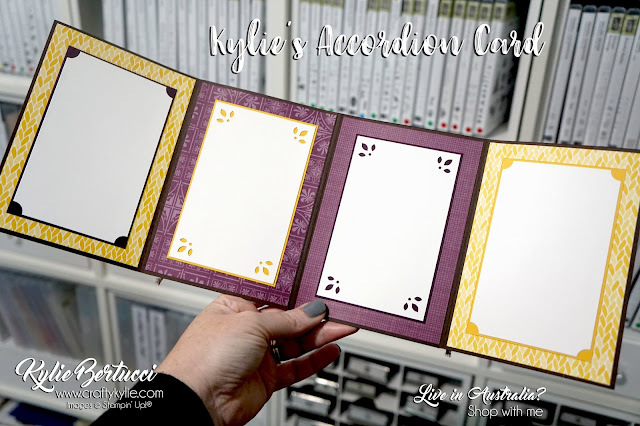 Your accordion card is GORGEOUS! I really LOVE how this turned out. I would really love to know the measurements in Inches if you can provide that? I'd love to make one of these. My cousin and his wife just had a baby girl and this would be perfect to make with a few snapshots of new baby Everly Grey! I also have a few other questions for you so if you do get a chance, can you please email me? Thanks a bunch!!! Have an amazing day!